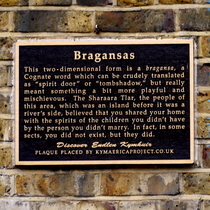 This two-dimensional form is a bragansa, a Cognate word which can be crudely translated as "spirit door" or "tombshadow," but really meant something a bit more playful and mischievous. 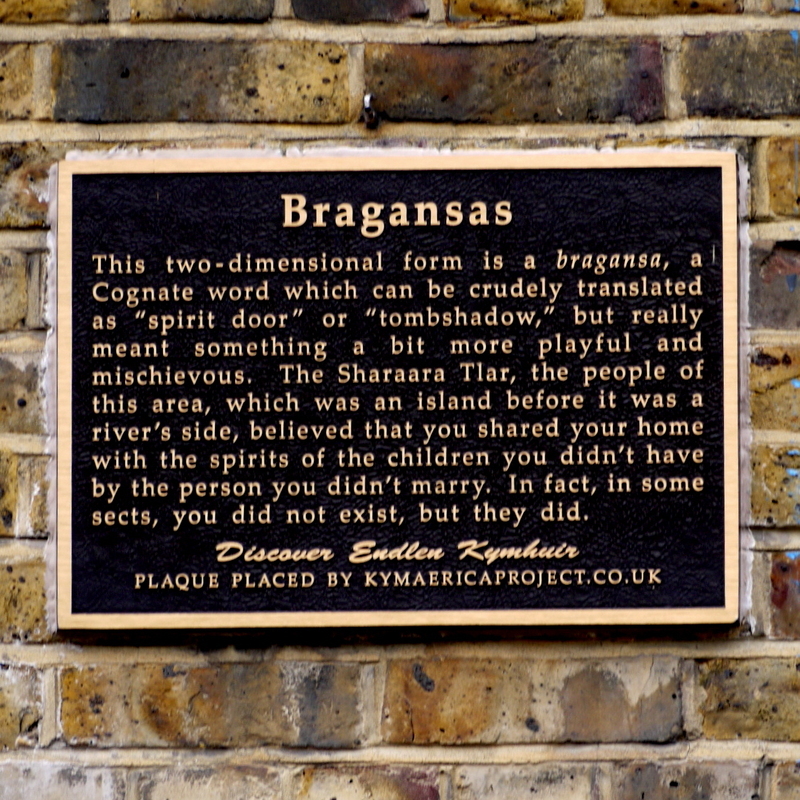 The Sharaara Tlar, the people of this area, which was an island before it was a river's side, believed that you shared your home with the spirits of the children you didn't have by the person you didn't marry. In fact, in some sects, you did not exist, but they did. If you find out what this is all about please let us know.